It's the end of the line for Intel's Itanium chip, a troubled processor family that spawned many product delays and bad blood between HP and Oracle. 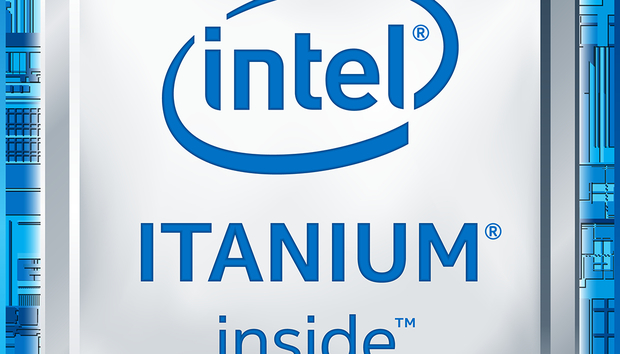 Intel on Thursday started shipping its latest Itanium 9700 chip, code-named Kittson, in volume. It's the last of the Itanium chips, which first appeared in early 2001. Beyond Kittson, there will be no more chips coming from the Itanium family, an Intel spokesman said in an email. That ends a tumultuous, 16-year journey for Itanium, which Intel once envisioned as a replacement for x86 chips in 64-bit PCs and servers. Support for Itanium has dwindled over the past decade, which has led to its gradual death. Server makers stopped offering hardware, software development stalled, and Intel has been openly asking customers to switch to x86-based Xeon chips. The Itanium 9700 is an incremental upgrade to the previous chips, code-named Poulson, and is targeted at high-end servers running Unix. The only major customer for Itanium remains Hewlett Packard Enterprise, which is upgrading its Integrity i6 high-uptime servers with the new chips. The servers provide rock-solid stability and run on Unix-based HP-UX. Intel can now focus on Xeon, which was rebranded last week to account for new technologies like co-processors and faster interconnects. Itanium has been on the chopping back for a long time, and it's demise isn't a surprise. Itanium was developed jointly by Intel and the company originally known as HP (before its breakup into HP and HPE). HP was looking to replace its aging PA-RISC with a modern 64-bit server chip that could run legacy OSes like Unix. At the time, Intel wanted to break into the high-end server market with a lead partner like HP, and take on older mainframe architectures like Oracle/Sun SPARC and IBM’s Power. When introduced in 2001, the Itanium instruction set was much more advanced than that of the x86. It had features like machine-check, ECC memory and RAS (reliability availability and serviceability). But the first Itanium chips were extremely power hungry. When employed by Motorola, McGregor was shown an early 1U server with two Itanium processors and a massive turbofan at the back. It was too power hungry, noisy and required a lot of cooling, he said. Intel hedged its bets and planned for Itanium 64 -- also called IA-64 -- to ultimately go down the stack from servers to PCs. But that never happened, and the market shifted quickly after AMD introduced the first 64-bit x86 server chips in 2003. That gave AMD a competitive edge over Intel, which still was offering 32-bit x86 chips. Intel got back to the drawing board and sped up the development of x86 chips with 64-bit extensions, which were released soon after. The transition disrupted Intel's vision of Itanium as an architecture of the future for 64-bit servers and PCs. Instead, x86 chips started moving up the stack into more powerful servers. But the real hit on Itanium came in 2010. That year Microsoft stopped software support for Itanium, declaring that Windows Server 2008 R2 would be its last server OS to support Itanium. In March 2011, Oracle made a decision to stop writing software for Itanium, saying "Intel management made it clear that their strategic focus is on their x86 microprocessor and that Itanium was nearing the end of its life." That spawned a legal battle with HP, which wanted continued Oracle software support and development for its HP-UX customers. Intel subsequently made a concerted push to move customers from Itanium to x86 in 2012 when it introduced the new 15-core Xeon E7 v2 chip with Itanium-like error correction and RAS features. At the time, HP also made it easier to transition from Itanium to x86-based Xeon servers. The message from Intel and HP, notes Dean McCarron, principal analyst at Mercury Research, was clear: It was time to move on from Itanium. But customers weren't willing to move off Itanium, especially those users needing high-uptime servers to keep infrastructure stable and humming. HP remained committed to releasing servers based on the chip, and that contributed to Itanium surviving longer than expected. HPE has said it will keep support for Itanium servers up and running until 2025, and will release the latest HP-UX 11i v3 2017 update in June. Itanium 9700 is still there for those who need it, and they are socket compatible, meaning new chips can be plugged into existing servers with previous-generation Poulson chips. The servers are not for new workloads like machine learning or artificial intelligence, but for traditional mainframe-style workloads. Companies with machines running on HP-UX and Integrity will likely remain committed to Itanium, and won't transition for many years. But that won't stop HPE from trying to get customers to move to x86. HPE will enable "customers to re-host their HP-UX workloads on Linux-based containers running on industry-standard x86 servers in the future," said Jeff Kyle, director of product management for enterprise servers at HPE. The new Integrity i6 is priced starting at $14,500 and is available through resellers. The servers have NVMe support and all-flash 3Par storage integration. Xeon and x86 will drive Intel into the future, especially with applications and data center designs changing. "[Itanium] will be remembered as one of those interesting architectural experiments. It lived a lot longer than others," McCarron said. From Alteryx to Yext, B2B tech IPOs heat up, but why?